It’s my birthday this weekend! I thought I’d share my planned itinerary of shenanigans, were you so inclined to join me. Friday night: Hubba Hubba Revue at the Uptown in Oakland! I work two jobs that day, and intend to unwind with the Bay Area’s finest burlesque show at one of my favorite Oakland bars. It’s right next to BART, for you west-bay car-less folk. Then, Saturday 8pm until late, my friends down the road at the Vulcan are throwing a May Day celebration and fundraiser for their theater! See a venue most unique at one of the Bay Area’s finest underground locales, with acts including the Vau de Vire Society, Totter Tod, Gooferman, and the Hobo Gobbelins. Come by my place starting at 5pm for pre-show cocktails. (Contact me directly for details). Finally, on Sunday, we will drag our hungover selves to Antiques by the Bay at Alameda’s Naval Base, to sift through old relics looking for gems (like the Settee of Contention). It is our noble intention to arrive before noon, mimosas in hand. Feel free to email, call or text at any point to find out what’s going on. I hope to see you at one of these! This photo of Dreamtime Circus performers Raven and Savannah marks the first official studio shot I ever took; the white of their makeup and costumes, provided by them, was a happy coincidence. 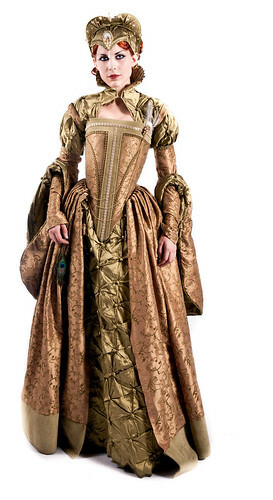 It’s a serendipitous thing indeed to have as a partner someone as beautiful and talented as miss Calamity Lulu (who made everything you see in this Tudor gown), who now runs a costume and fashion line called Quaintrelle. Following the thread of both studio work — still a relatively foreign concept to me — and costume design is this photo of Eva, where the outfit and assistance directing comes again from Lulu. Jenny Atomik and Mike Estee came to my studio for a photoshoot, and it was only appropriate to use the architecture and neighborhood as a setting and backdrop. Visiting from Boston, I had the distinct pleasure of befriending M@ and Holly of HUMANWINE, whose music I’ve enjoyed for years. The concept and editing for this photo were done by M@ for an upcoming show in Boston. Go listen to their music here. Watching the burn from a boom lift — the best seat in the house — was an incredible (and fortuitous) honor. The story of how I managed to get up there was one of luck and timing, to be told another day. Thanks again to Cameragirl, Andy, and Gadget. 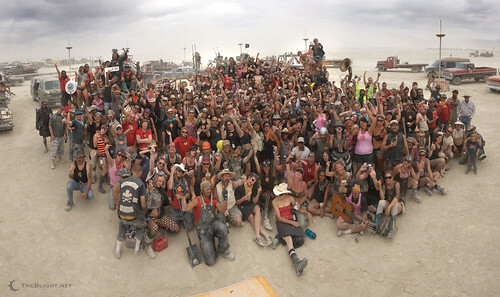 This motley crew is responsible for the building of all the infrastructure of Black Rock City not provided by the participants themselves: the generators, the roads, the trash fence, heavy machinery (for setting up art, etc. ), building the Man and Center Camp: the list goes on. But they also stick around after the event is over to clean up the detritus left by 50,000 people who, though good at policing their own trash, are by no means perfect. This image is a composite of seven photographs shot in quick succession with little to no direction from me (I just flipped ’em off to get the official DPW “salute”). John and I went for a ride and a glass of wine after I finished a grueling two-day epic ordeal to get my blasted car out of the mud. The surface of the playa is treacherous: undisturbed, the dry lakebed turns from tan to white when there’s water beneath the surface as salt rises up from below; it’s subtle, and if you’re driving 25MPH and looking for a crossing over the railroad, you’ll quickly find yourself in the middle with a hard way out. I am a very vocal proponent of relax and use your damned camera. 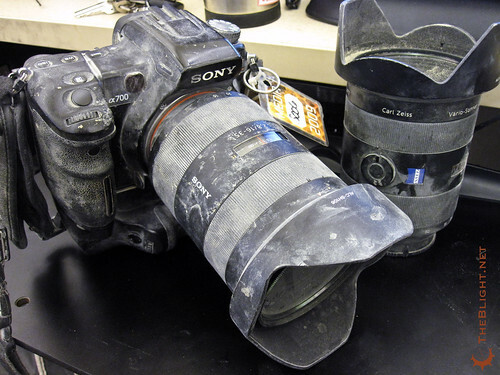 This isn’t to say I go out of my way to damage my gear, but I don’t expend much effort to protect it, either: because everything you do to keep your gear safe is one more hindrance to taking a shot. And the harder you make it, the fewer pictures you’ll take. Many people refuse to bring their nice equipment out to Burning Man, safe guarding it at home instead (where it takes no pictures). Rather, they bring out cheap gear — and then, when it dies, use this as justification for not bringing out the good stuff. Counter intuitively, the high quality (and hopefully weathersealed) gear would have been just fine. It all boils down to this: did you buy the gear to sit on a shelf, or to take pictures? My favorite portrait from the four days of Edwardian Ball last year, this picture of Eva in her fantastic swimwear was hastily taken in the middle of the crowd in front of the stage. 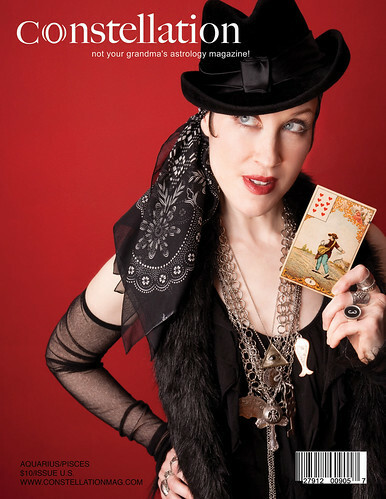 This year’s Edwardian Ball is rapidly approaching; do you have your costume yet? One of the most technically difficult (read: “lucky”) shots I took all year is this one of two Vau de Vire girls spinning around in big circles in an drastically underlit room in the upstairs lodge of the Regency Ballroom for Sunday’s Edwardian Ball. A frequent performer with Bad Unkl Sista, Victor can always be counted on for some of the finest costuming and makeup. This was just a quick snapshot on the stairs at Supperclub, where after plenty of contract wrangling, I was finally OK to shoot the Von Gutenburg/Marquis Fetish Ball. 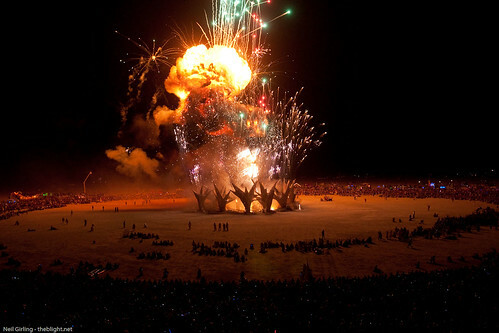 Other than Burning Man, only three of the above images come from events, a marked departure from all of my previous years. I learned photography backward, diving headfirst into the chaos of parties and clubs and galas without ever meticulously working in a controlled environment; it just seemed the natural way to do things. These days, working in a studio is something of a double-edged sword: you have full control over everything, but it’s up to you to make it work. 2009 was great — here’s to 2010. This past weekend saw Les Bal de Vampires, a in Alameda by PEERS. See the gallery here. The second day after Halloween is Dia de los Muertos, or Day of the Dead. The Mission District of San Francisco, having a very Latin American demographic, celebrates each year with a parade and altars honoring the dead. The gallery is here.